Washington State University, Pullman is home to one of the top plant science research departments in the country. Plant science research is a pressing issue for today’s scientists because it affects how we respond to climate change, helps us grow enough food and protects food from pests and pathogens. It’s exciting for both WSU researchers and interested readers alike, then, that the Washington Grain Commission announced they will give $5 million in life science funding towards a new research facility expansion that will advance grain studies at Washington State University, Pullman. The new research facility at WSU Pullman will complement the existing 34,000-square-foot wheat research growth building. Phase 1 of construction involves building 9,500 square feet of greenhouse space on two levels. In this phase, 10,500 square feet of indoor space for research and lab equipment will also be introduced. Phase 1 completion is scheduled for 2015. The Washington Grain Commission’s grant will be counted towards the $1 billion “Campaign for Washington State University: Because the World Needs Big Ideas.” So far, the university has received more than $934.4 million towards supporting students, faculty, research and extension programs through this fundraising campaign. WSU Pullman has received $17.8 million in research funding from the National Institutes of Health for the year 2014. WSU Pullman was ranked 14th in the nation for NIH funding in 2013, having received $320.1 million. The National Science Foundation gave the university $18 million in funding in 2013. WSU Pullman has a $779.9 million endowment. In 2012, life science R&D expenditures at the university were $625 million, the 11th highest in the country. 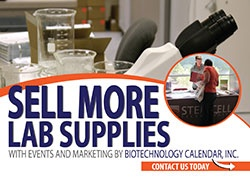 If you would like to meet with well-funded researchers in the process of stocking brand new labs at Washington State University, Pullman, Biotechnology Calendar, Inc. invites you to exhibit at the BioResearch Product Faire™ Event at Washington State University on October 29th, 2014. To learn about life science marketing events in other regions of the United States, see the 2014 calendar of events and 2015 calendar of events. Click on the button below for an in-depth list of life science funding statistics and vendor show information for Washington State University, Pullman.